Tips to survive a Zombie attack: Revealed! Home › News › Tips to survive a Zombie attack: Revealed! You need a strong backpack which will hold and carry a lot of stuff. This is especially important if you are travelling to a new and unknown place. Even if you have a big luggage, keep your backpack with you. You don’t want to drag a huge luggage while on the run. 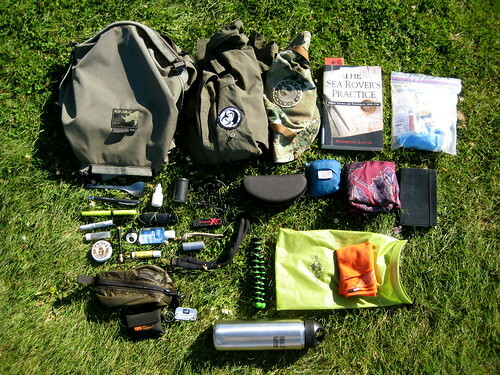 For zombie survival you need a few weapons ready in your back pack. You could carry a cross bow, machete, knives, and a handgun. Make sure that you can use it and keep more than one option. Be prepared for emergency situations with a light source like a torch and match box. Additionally, have enough bandages, alcohol, medicine and small knives to treat injuries. A first aid kit is also important so that you can handle minor cuts and scratches all on your own. This will also make you helpful to others who might be in the same situation as yours. Water is life, so you should have a durable water bottle and purifications tablets. Also make sure to carry some non-perishable food item so that you can last a few days without external help. Along with these you could do with a sleeping bag, extra socks, hiking boots and anything that you feel is important for your survival. Also sure that your family and friends know where you are and keep communicating as much as you can. 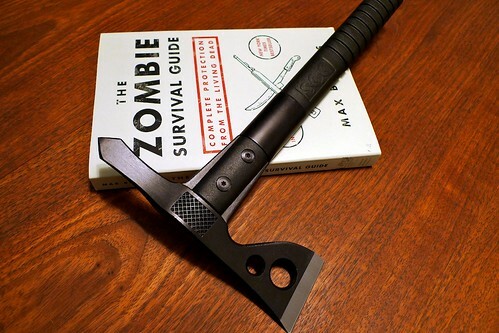 Finally, I never thought that one needed to be prepared for a zombie attack. But then again, I was not aware of it as a practical condition and not just folklore. My conception changed when I saw a friend suffer from a zombie attack last year (He got addicted to “Walking Dead”). Ever since then I have kept my zombie survival kit and zombie knives ready and would advise you to do so as well.